VN Engineers, Inc. is a subconsultant responsible for Operational Analysis and Capacity Analysis for six signalized intersections and three un-signalized intersections using SYNCHRO and Highway Capacity software. Collected Accident data and summarized in collision diagrams. Prepared warrant analysis for four intersections. Prepared PE report-outlining improvements, addressing safety and operations to I-84 and the Route 34 and Route 25 intersection, including acceleration lanes, deceleration lanes, taper lengths and the need for turning lanes. Design of three traffic signals and traffic signal improvements for four signalized intersections, including quantities and special provisions. Conducted traffic signing inventory of I-84 and surrounding roadway network. Prepared preliminary and final ground mounted and overhead signing plans, including guide signs, regulatory signs and warning signs as well as any other signs required for the freeway corridor, ramps and local streets. Prepared quantities and special provisions. 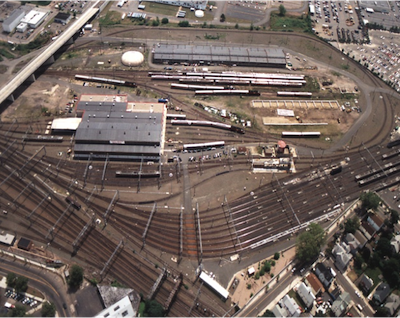 Preliminary and final illumination design for the New Haven Rail Yard Facilities Improvements, New Haven, CT. The work includes thousands of feet of new track for storage and for the movement of trains on and over the mainline and into the maintenance yard. A total of eight new buildings will be constructed and three buildings altered. 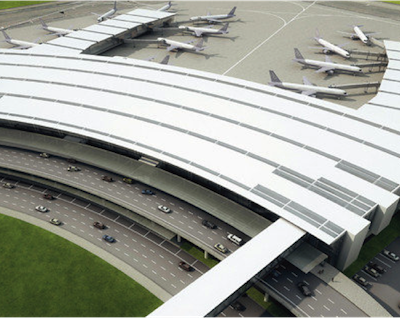 An entire new roadway system, access and security systems are to be installed. VN Engineers conducted the lighting design infrastructure with the new track and roadway system. Designed the spacing for the 100’ high mast light poles utilizing Visual Professional Edition (Version 2.06) lighting software and design in accordance with American Railway Engineering and Maintenance-of-Way Association (AREMA) Standards. Prepared electrical design computations including the sizing of the cabinet and voltage drop calculations in accordance with The Illuminating Engineering Society of America (IENSA) lighting handbook and The National Electrical Code (NEC) Handbook design criteria. Designed foundations for 100’ tall high mast light poles. Prepared detailed quantity & proposal estimates and special provisions. This project entails the preparation of contract documents for the Bradley International Airport Access Road Realignment and the lighting for Schoephoester Road from the Park Road Overpass to Airport Service Road, approximately 3000’. This project also includes approximately 2500’ of lighting on Deplaning Road north of its intersection with Schoephoester Road. VN Engineers, Inc. is responsible for the design of preliminary and final decorative style lighting plans for this project. This lighting will provide appropriate roadway lighting levels as well as assist in any traffic calming efforts. The lighting will be designed in accordance with all current federal and state standards, including “FHWA Roadway Lighting Handbook,” “AASHTO Guide for Roadway Lighting,” the Department’s standard specifications and the “National Electrical Code”. 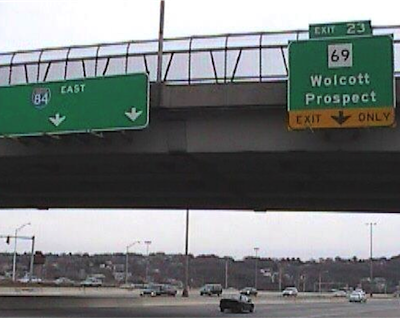 This project involved the widening and relocation of Interstate 84, City of Waterbury. 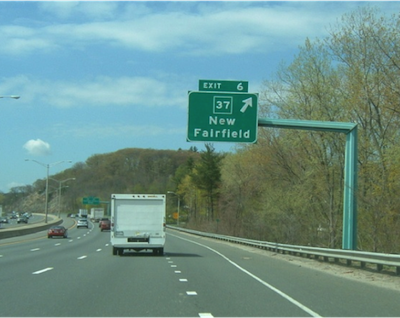 The project improved safety by improving the geometry of Interstate 84 as well as incorporating intersection improvements at seven signalized intersections. Seven traffic signal designs were prepared implementing far side head traffic signal heads, utilizing Connecticut Department of Transportation traffic signal design standards. Traffic signal installation details, special provisions and quantity estimates were developed. The seven traffic signals were modeled utilizing SYNCHRO traffic signal coordination. Pavement Marking and Signing plans were also developed, including special provisions and quantity. The illumination for the mainline I-84 and the ramps was also designed to Connecticut Department of Transportation standards. VN Engineers conducted capacity and network analyses utilizing Synchro, SimTraffic, and HCS software programs. Designed three traffic signals of which included revisions to an existing fiber optic traffic signal interconnect, revisions to an isolated mast arm intersection, revisions to an existing spanwire traffic signal and the installation of a new fiber optic interconnected mast arm traffic signal. The design of the new mast arm traffic signal on Sargent Drive at Long Wharf Drive Extension included providing for a far side head mast arm traffic signal design; with an exclusive pedestrian phase utilizing an Advanced Accessible Pedestrian Signal with ADA compliant pedestrian ramps. Documented existing and design year traffic analysis levels of service results in a traffic analysis report with supporting calculations. Prepared time of day timing patterns for peak and off peak periods. A fiber optic traffic signal interconnect plan was developed to depict the fiber optic trunk line and required work to establish communications impacted by construction. 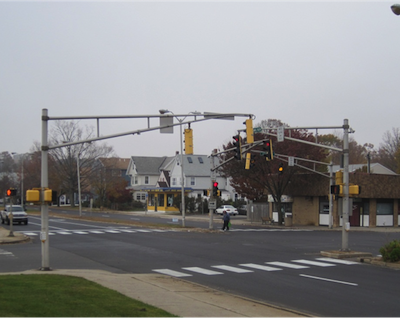 Prepared traffic signal designs to meet City of New Haven standards considering the State of Connecticut design requirements. Prepared detailed quantity & proposal estimates and special provisions. Prepared ground mounted regulatory, warning and guidance signing design for all state and town roadways within the project limits, estimated quantities and prepared special provisions. Assisted in the preparation of overhead major highway guidance signing on I-95/I-91/RTE-34, including sign support design, as well as quantity, proposal and special provision documentation. Prepared highway illumination design for I-95, and adjacent ramps, including special provisions and quantity & proposal estimates. This project involved streetscape and intersection improvements along Hope Street in the City of Stamford. The project improved safety by incorporating exclusive left turn lanes, improving turning radii at signalized intersections and installing ADA ramps. 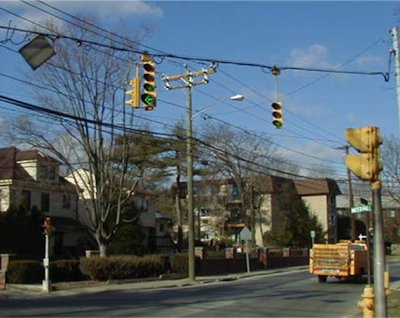 Three traffic signal designs were prepared implementing far side head traffic signal heads, utilizing Connecticut Department of Transportation and City of Stamford traffic signal design standards. Traffic signal installation details, special provisions and quantity estimates were developed. The three traffic signals were modeled utilizing SYNCHRO traffic signal coordination software. The three traffic signals were interconnected using fiber optic cables, attached to existing telephone poles or buried under the roadway. Signing plans were also developed, including special provisions and quantity. VN Engineers assisted Fuss & O’Neill with a field inventory and review of municipally and privately owned traffic signals within the region. Existing conditions at each intersection were documented and operational issues were identified. Recommendations were made on signal operational improvements to facilitate traffic flow, pedestrian safety and to minimize congestion. The study also made recommendations on upgrades for energy efficiency. VN Engineers was responsible for the research and compiling of existing and available traffic signal plans for each of the 54 town owned intersections being inventoried. Tasks also included a field inventory of ten intersections in West Haven. For each intersection VN Engineers reviewed and recorded the condition of existing signal equipment, signs and pavement markings. Identified operational issues and pedestrian/vehicular safety concerns. Identified potential geometric improvements, lane restriping and signal phasing/timing improvements. Made field observations to ensure compliance with MUTCD and State Standards. The proposed new bridge over the Busway and Amtrak at Flatbush Avenue was deemed an essential commitment of the EIS for the Busway project. VN’s role in this project as a subconsultant included the analysis and design of the drainage for the roadway as well as the proposed Flatbush Station area. VN also designed the signalization at New Park Avenue and Newfield Avenue. As part of the signal design, a traffic simulation was prepared to model the operation of the entire area. This simulation also included an innovative design concept that considered the effects of replacing the proposed bridge with an expanded at-grade intersection with the railroad. This Busway Breakout project includes many design challenges and has also been quite controversial. 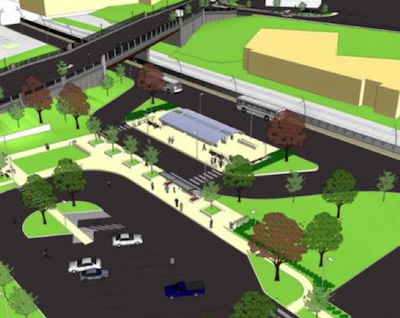 VN’s team has worked closely with the CTDOT to look for innovative ways to gain public acceptance of the project while still meeting budget and FTA design requirements. 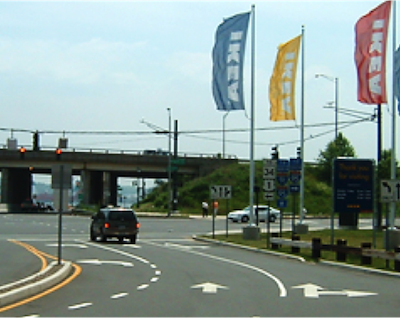 Maintaining excellent communication and being extremely responsive to the CTDOT’s needs has been the driving factor throughout the design effort. Our proposed project manager for your projects, Robert Gomez, served as the project manager for the Flatbush Avenue Breakout project for three years prior to joining VN in 2009. Working as a sub-consultant to Carol R. Johnson Associates VN Engineers, Inc. assisted in the design of SPN. 58-316/294. 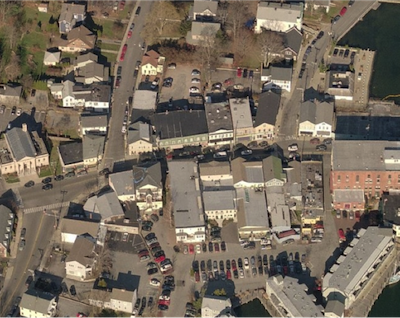 The project included relocating existing overhead utility lines underground, roadway and streetscape improvements including sidewalk and illumination upgrades on Main Street (Route 1) and Water Street in the town of Groton, CT.
A period style decorative lighting design was prepared for West Main Street and Water Street. Decorative light standards were designed on West Main Street. Utility pole mounted decorative light standards were designed for use on Water Street. Detailed illumination drawings, construction details, special provisions and cost/quantity estimate were prepared. 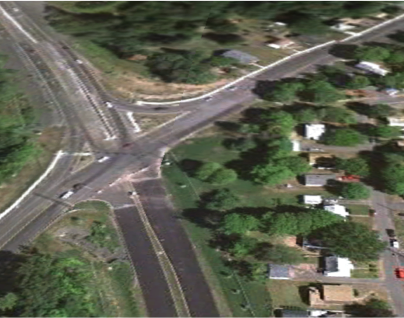 VN Engineers, Inc. was a subconsultant responsible for preliminary engineering analysis of eleven (11) intersections along Route 72 in Bristol, CT including capacity and accident analysis. Designed closed loop traffic signal interconnects; as well as final design plans for eleven (11) signalized intersections. Using Highway Geometric Design Criteria such as but not limited to: capacity, intersection sight distance, design vehicle, lane arrangements, lane widths and volumes etc. designed final design drawings for eleven (11) signalized intersections and interconnect plans for the project. Developed plans, special provisions and details for the installation of the signals. Prepared Highway illumination plans at the existing Route 72 terminus. Developed commuter parking lot illumination design. Prepared special provisions, quantities, and illumination construction details. Prepared illumination design for a proposed pedestrian bridge across proposed Route 72. Prepared special provisions, quantities and installation details. VN also prepared Pavement Marking and Signing plans for the project. Developed three (3) overhead sign structure details for three locations. Developed quantities, special provisions and a proposal estimate.